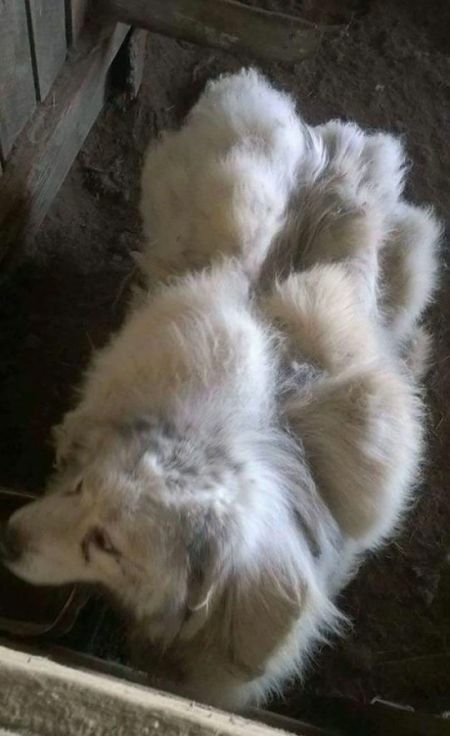 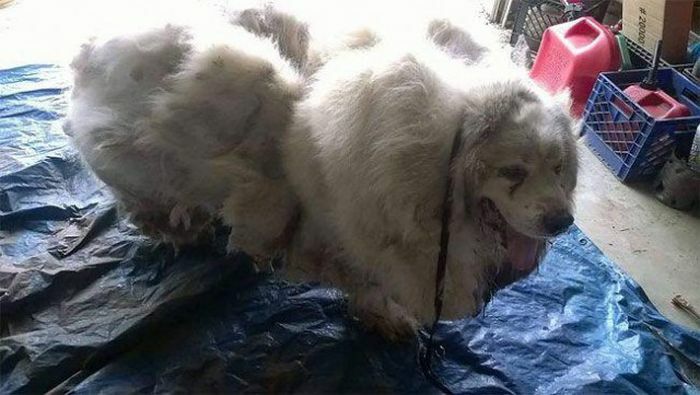 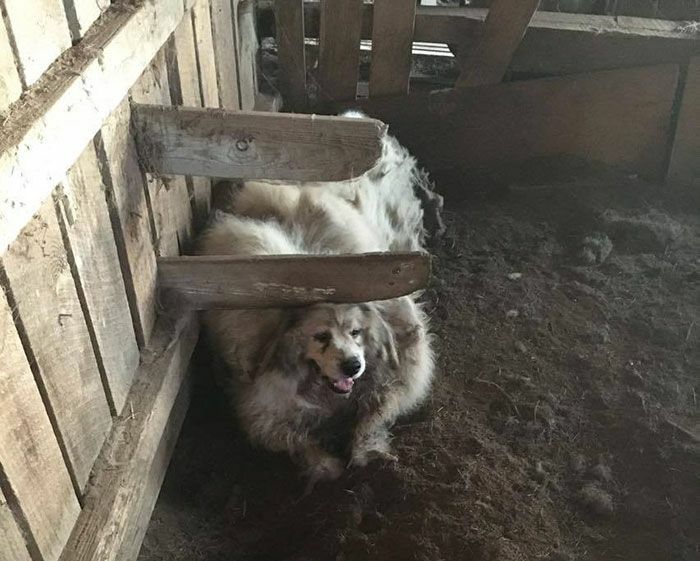 A Pyrenean Mastiff named Lazarus, whose owner is terminally ill, was found trapped in a barn covered in filth. 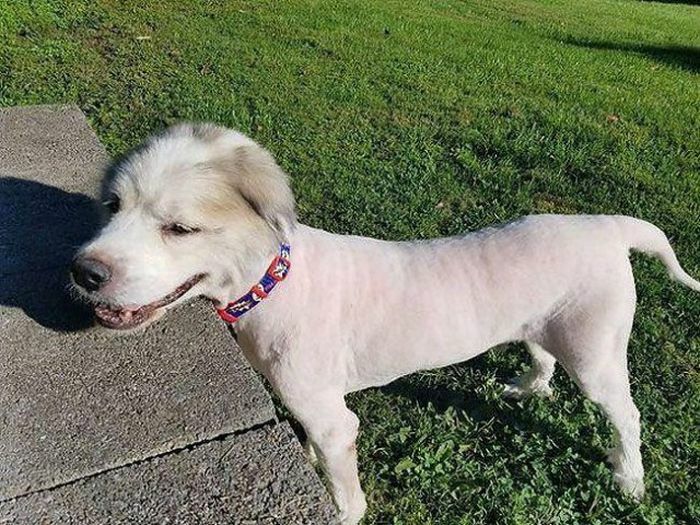 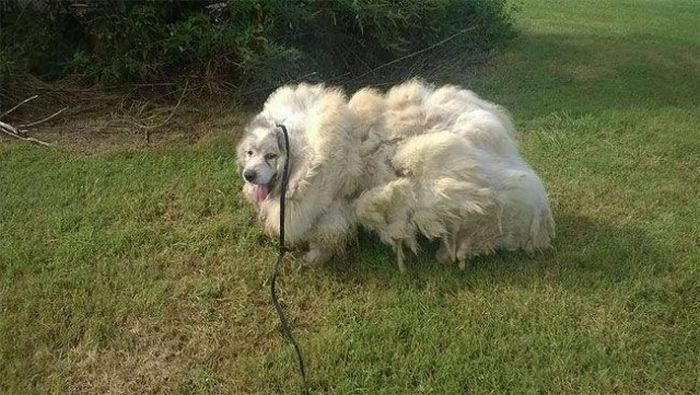 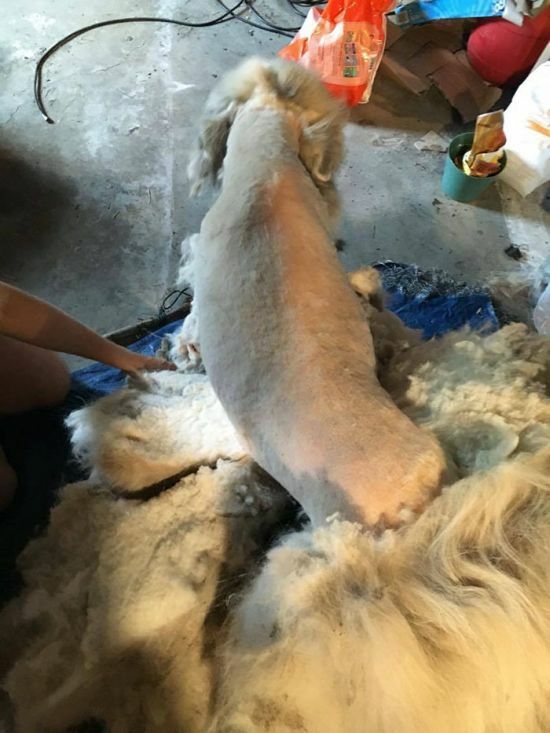 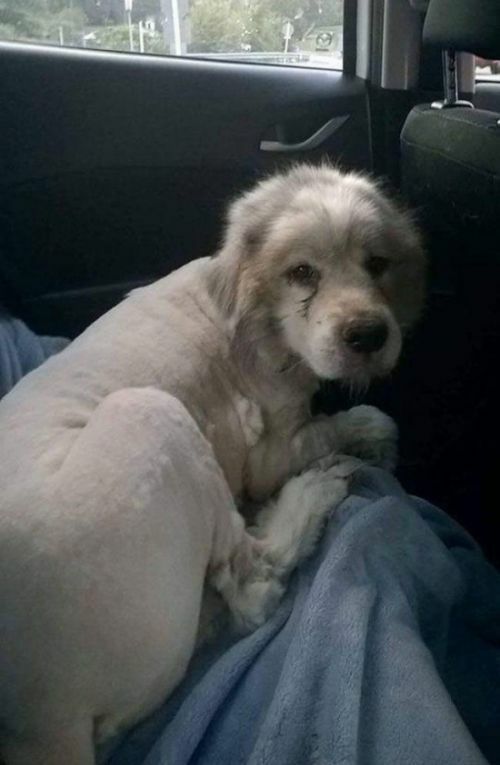 Two groomers from Big Fluffy Dog Rescue helped him get free, and they also cleaned him up after. 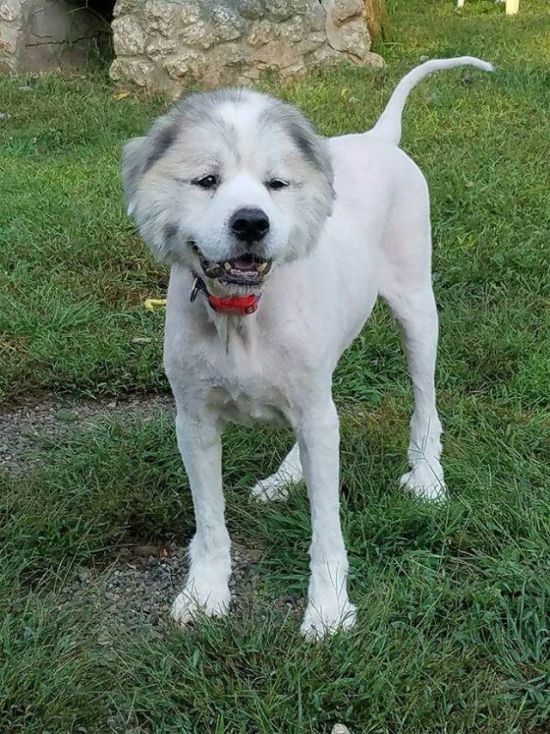 Now Lazarus is like a whole new dog.